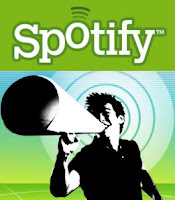 WJSG Internet Radio: Spotify Halts Its Music Download Service In Europe, But How Many Were Using It Anyway? Spotify Halts Its Music Download Service In Europe, But How Many Were Using It Anyway? The change was first reported by Pocket Lint, and judging from a scan on Twitter there were people noting the change in at least two markets, the UK and Sweden. In Sweden, at least one person noticed the change before the new year (and anotherbefore Christmas), while in the UK it looks like it just started to take effect in the last day. A look on Spotify’s site indicates that download music has ceased in other European markets, too: including Norway, The Netherlands and France – essentially all the markets where it’s been offering downloads. It seems the U.S. didn’t have the downloading option available to begin with.